With her debut novel, Happy Ending, JANE LOCKHART pulled off that rare double - critical acclaim and mainstream success. This is not good news for her publisher, TOM DUVAL. His company is up against the wall financially and the only thing that will save him is a massive hit, in the form of Jane's next novel. 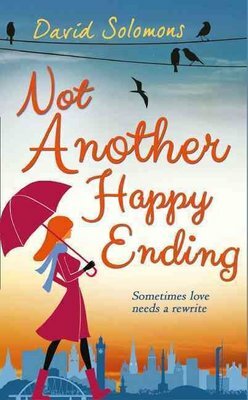 Set within the Scottish publishing industry, and filmed against a stunning backdrop of both romantic and hip Glasgow locations, Not Another Happy Ending is perfect for fans of One Day. David Solomons is the BAFTA-shortlisted screen screenwriter of The Great Ghost Rescue, The Fabulous Bagel Boys and Five Children and It. He lives in Dorset with his wife, Natasha Solomons, and their young son. Not Another Happy Ending is his first novel.